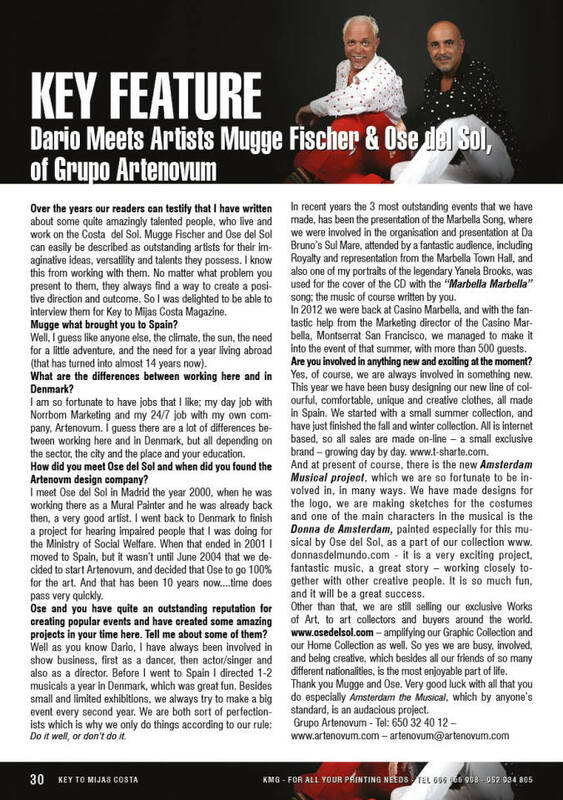 Dario Meets Artists Mugge Fischer & Ose Del Sol of Grupo Artenovum | Marbella Marbella – Adelante! Mugge and Ose have contributed their undoubted talents to Amsterdam the Musical and the rest of the team are delighted to have their skills and support for this new and exciting project that links the two cosmopolitan cities of Amsterdam and Marbella. “Marbella Marbella” wishes Mugge Fischer & Ose del Sol Marbella’s popular artists much success and good fortune in the present and future.